Art deco structures are scattered over Cape Town lke gems - they stand between decorative older structures and modern facades. 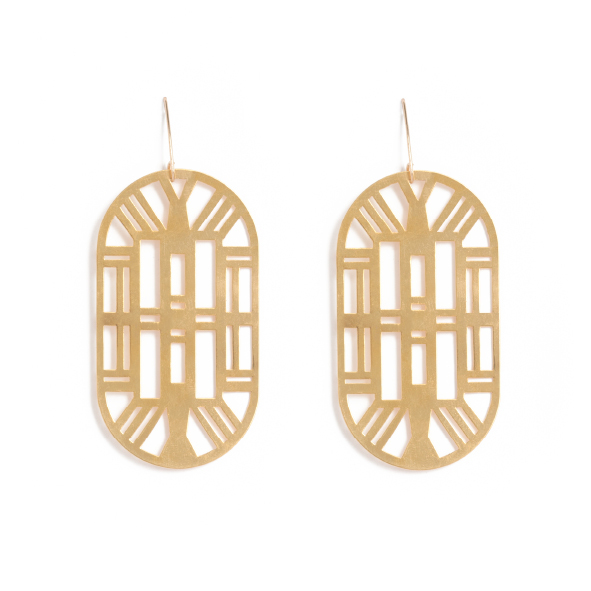 These geometric earrings are inspired by a design aesthetic rather than any specific building. Geometric and considered, they are a classy nod to a time gone by. Available in yellow gold plated brass with rolled gold hooks. Size: 6.5cm long x 3.5cm wide on elegant drop hooks. 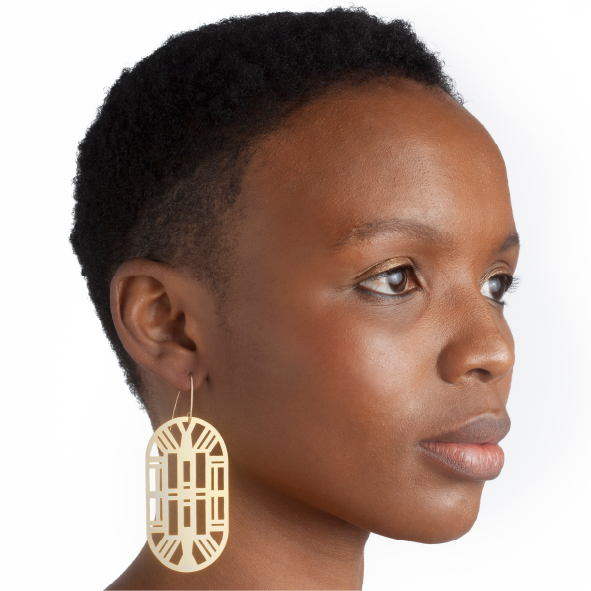 Notify me when Deco Earrings is available.